Cities contain over half the world’s population, consume two-thirds of global energy, and are highly vulnerable to climate change. Advances in information technology enabling more intelligent and responsive urban infrastructure has the potential to improve city operations and manage demand. Historically, planning and investment for urban infrastructure has been done sector-by-sector, but infrastructure is becoming more interdependent due to rising cross-sector demands, climate change policy and increasing use of information and communication technologies (ICT). Cities will increasingly depend on ICT for capacity provision (pervasive sensor networks enabling autonomous control) and delivery of services (on-demand transport). However, the long-term sustainability implications for smart infrastructure provision and investment are not well understood. Fundamental questions remain including: How can we avoid lock-in to environmentally damaging infrastructure? To what extent can we predict future health and social impacts, and manage risk across urban sectors? This talk will explore long-term critical interdependency between sectors (buildings, power, transport, ICT) and discuss the use of ubiquitous urban data, and predictive modelling and simulation to inform sustainable urban policy and planning. Dr. Martino Tran is Director of the Urban Predictive Analytics Lab, Co-Director of the Master of Engineering Leadership in Urban Systems, and Assistant Professor in the School of Community and Regional Planning at UBC. He is also a Visiting Research Associate at the Environmental Change Institute and a former Oxford Martin Fellow in Complexity, Resilience and Risk at the University of Oxford. Dr. Tran’s research focuses on predictive modelling and simulation of urban infrastructure and technology to inform policy and investment strategies with positive societal and sustainability outcomes. He has led both technical and policy research for government, academia and industry on the large-scale deployment of smart energy and transport technologies. He has advised UNEP, UNDP, Hitachi Europe’s Smart Cities Program, City Councils, and collaborates with the UK Energy Research Centre that informs national energy and climate policy. 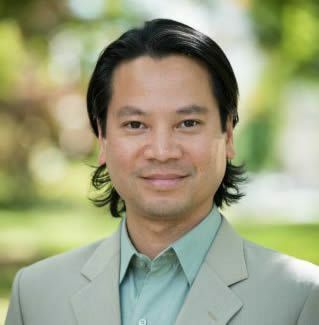 Dr. Tran also has lectured at UBC and Oxford on Sustainable Energy, Climate Change and Smart Cities and is a peer reviewer for Science and Nature.